Šikľavá skala rock and its frozen waterfall becomes one of the most beautiful, popular and visited attractions each winter. You can find it in Košice region in the eastern part of Slovakia, not far from Spišská Nová Ves town, between the villages Chrásť nad Hornádom and Matejovce nad Hornádom. 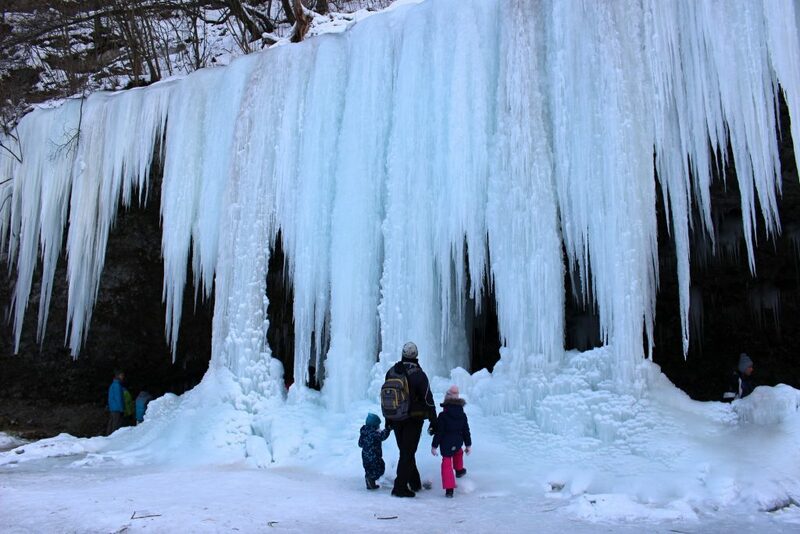 In winter, the waterfall freezes and creates massive ice walls, columns, icicles and other formations. The waterfall is about 14 meters high and around 25 to 30 meters wide, however, the whole 40 high rock is usually covered by this frozen waterfall.